If you were to hit the road, and really travel throughout this great country, how would you do it? Lisa Kamin, The Galavantin’ Gal, participated in this past weekend’s Chartreuse & co Market Days. It was such fun when she arrived, and saw that she has created the most inviting nest-on-wheels ever. Come take a tour with me . 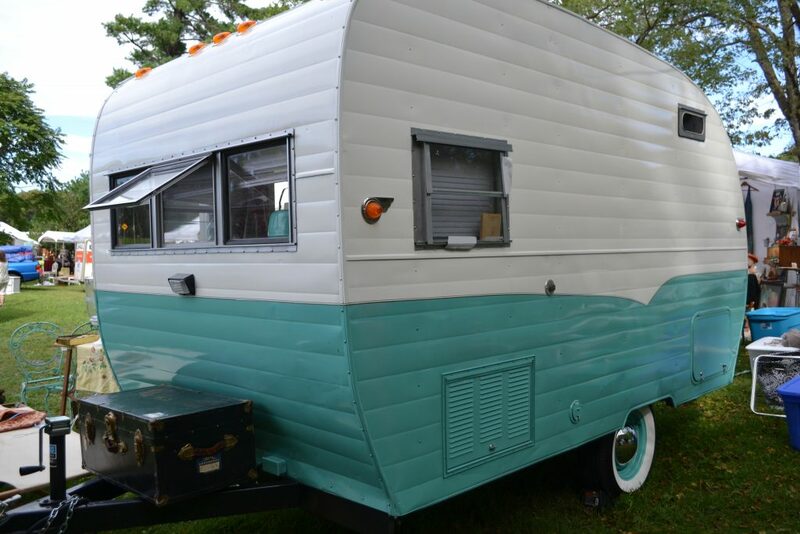 . .
It’s an adorable mid-century, pull-behind camper in the most delightful shade of aqua blue. Notice the funky, sphere exterior door lamp. And, of course, so much of her cool merchandise is from this same era and speaks to the 1950s/60s camp feel. 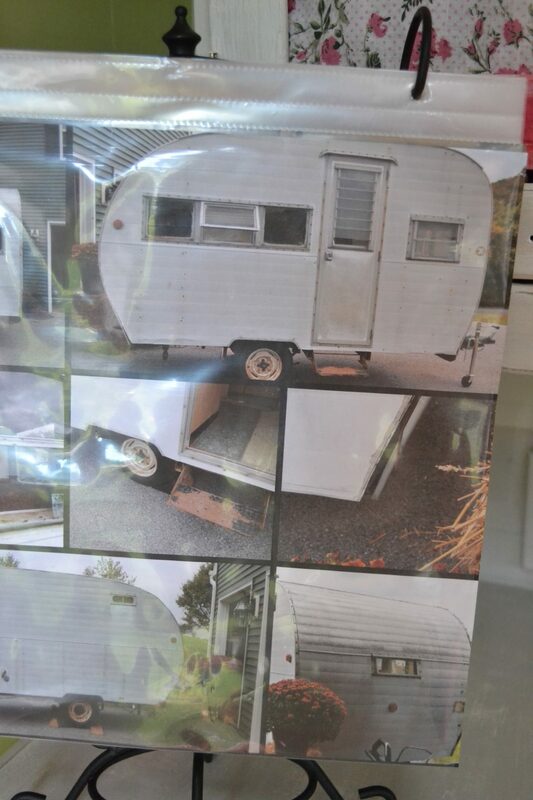 But, before we go inside, I want you to see these pictures of what Lisa’s spectacular camper was when she found it. She completely gutted the interior and lovingly restored the exterior. From the wood floors and bamboo rug, to the vintage dresser with its myriad knob details, this interior calls out the vintage girl. 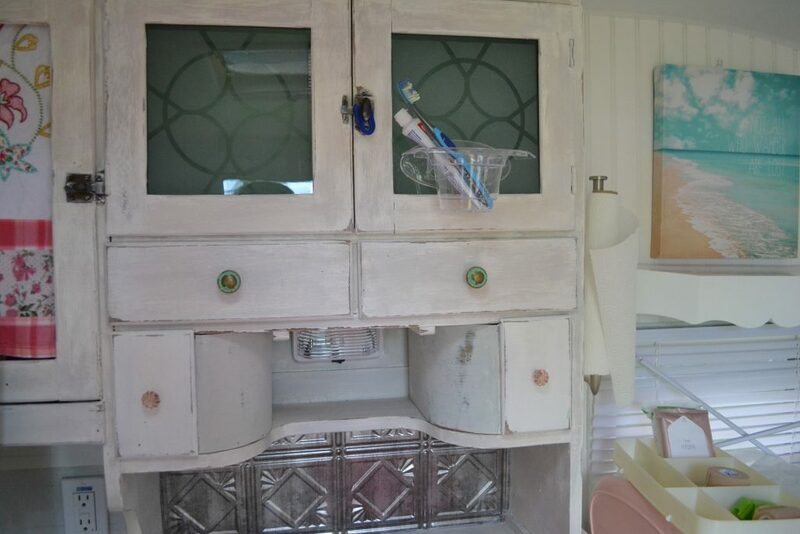 Space is at a premium in this tiny traveling home, so this dresser is her sink, and all those little cubbies in the vintage cabinet above hold her essentials. 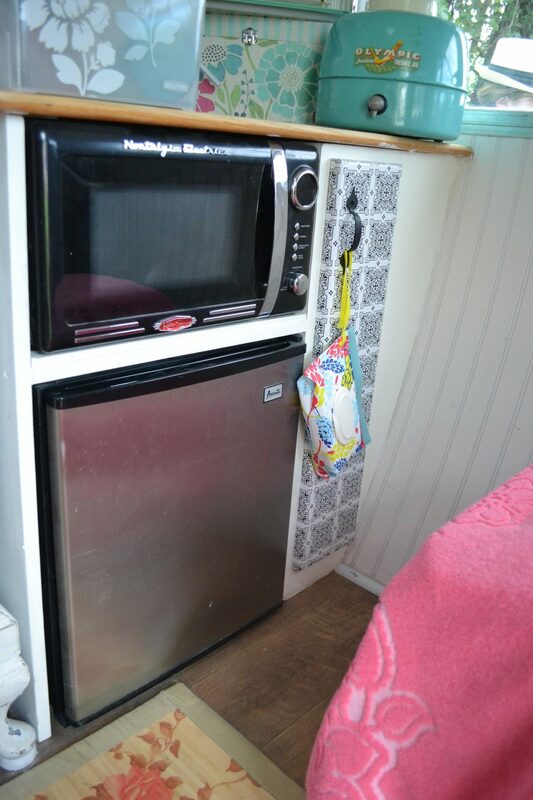 Love the metal backsplash and the clever toothbrush holder. 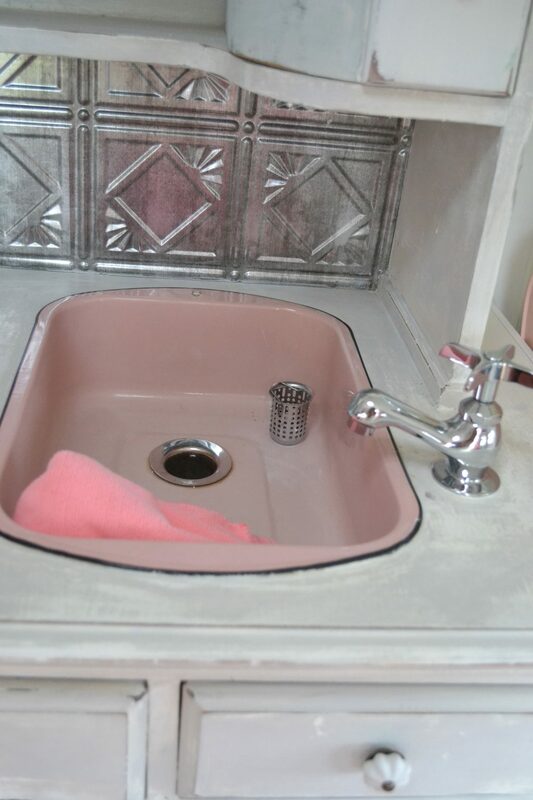 The sink is vintage enamelware, and she just hooks it up to an outdoor hose! Such a great pink, too! 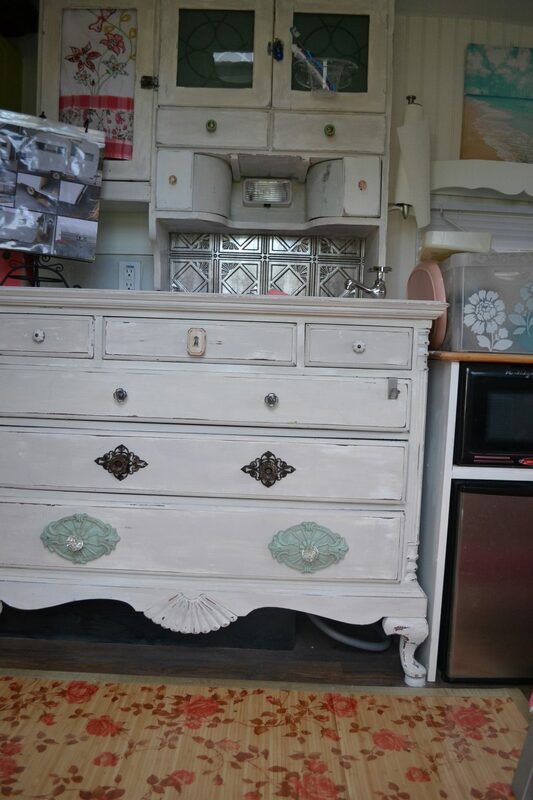 A few modern conveniences and some vintage touches round out her kitchen. Just to the left of the sink is Lisa’s only full-sized storage – a vintage metal locker painted a soothing celery green. And, of course, enhanced with a graphic design. 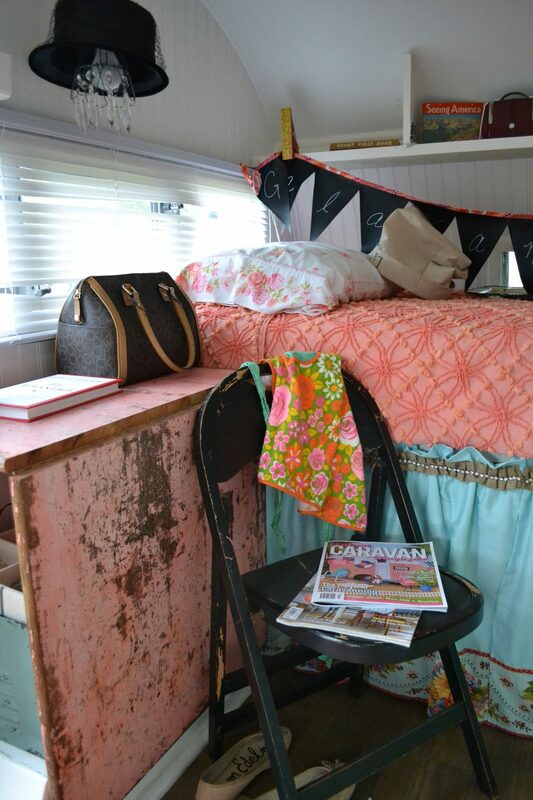 I also love the vintage chenille bedspread and the delightfully feminine skirt which hides some more essential storage. 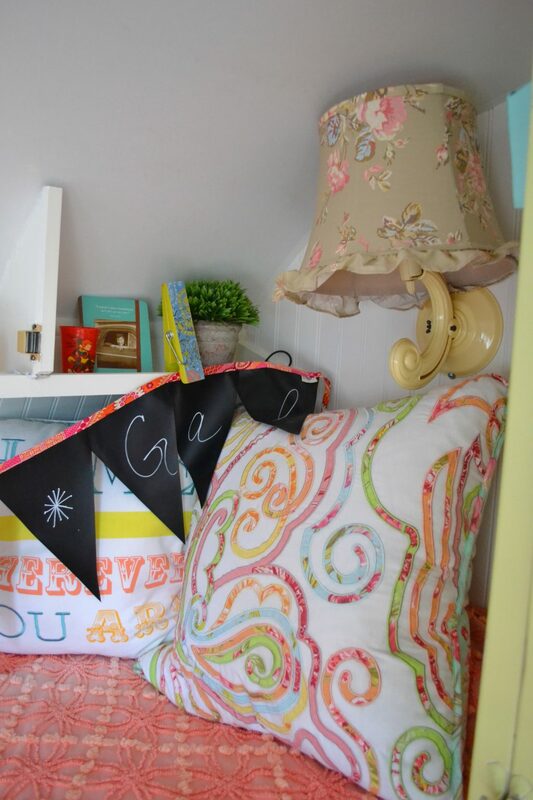 Don’t you just want to curl up here?! 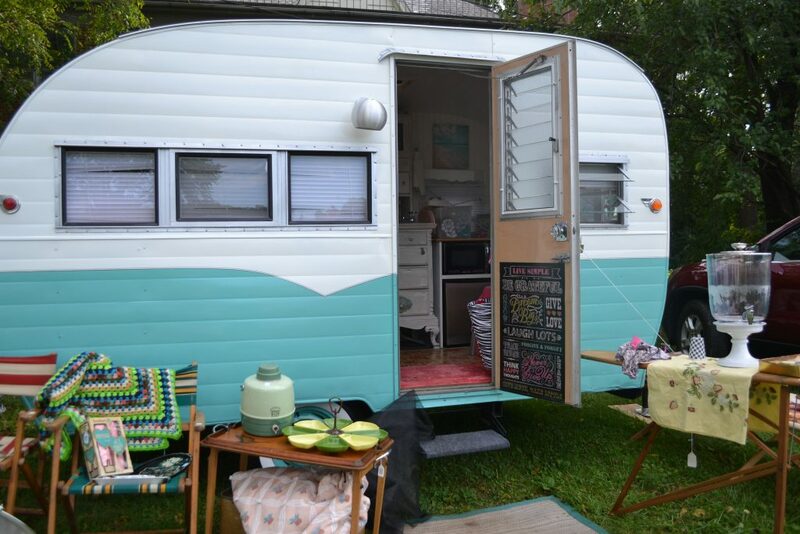 It’s every vintage girl’s dream! 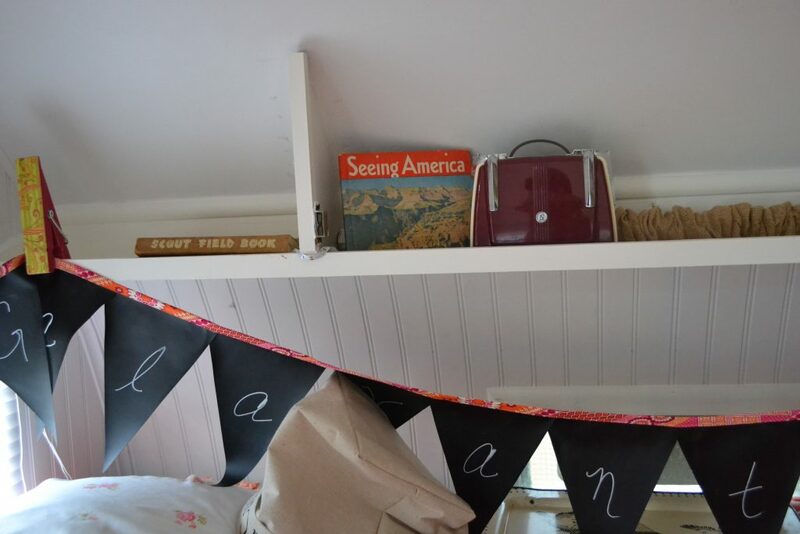 The charming Americana she’s displayed on the shelf above the bed is a collection of favorite items. Lisa’s even got a spot for you, should you drop in to visit for a while. 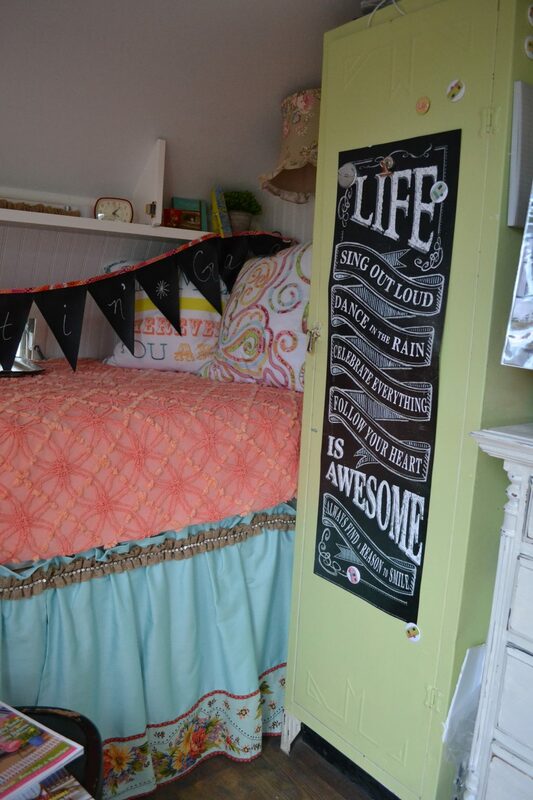 Check out the distressed, pink board used to create yet another little nook for storage. And the derby-hat chandelier is adorable. So that’s it. Should you get the traveling bug, you now have the inspiration you need to do it right!